The game “simkult” is a serious game for health prevention in the workplace. 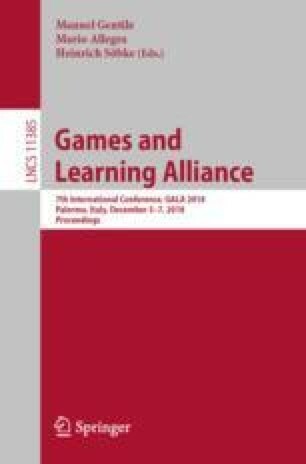 The design process focused on three key aspects of serious games derived from the Input-Process-Outcome model of learning with games by Garris and Driskell. In order to introduce knowledge, skills and attitudes with regard to safety and health at the workplace we systematically developed (a) the instructional content, (b) the game characteristics and (c) the context of use, which defines how the game is used and how the debriefing can be realized. As a result, “simkult” is a multi-player simulation game for five to 20 persons which addresses work teams in small and middle sized companies. By putting each player in the position of a restaurant manager the complex interplay of important areas towards safety and health at work (e.g. work climate, leadership) are displayed. Two core aspects within the game are the non-player characters and critical incidents which represent quests for the players in the simulation. These were developed with regard to the target group’s needs in order to create an engaging and effective serious game. This research was supported by the german statutory accident insurance (Deutsche Gesetzliche Unfallversicherung e.V., DGUV). The authors are responsible of the content of this contribution.